Which walk is right for me? 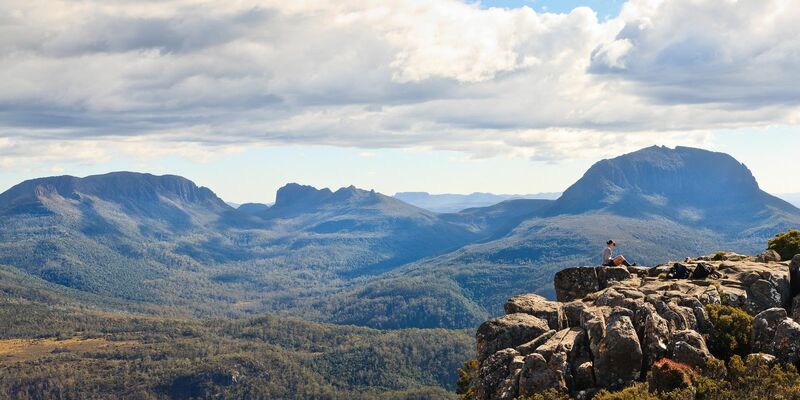 Get news about our walks, special offers, events and behind-the-scenes stories from Tasmanian Walking Company. Our team of guides, ably lead by Katie were an absolute pleasure to be with for the 6 days. They restored your faith in the ability of our young people to go out and do their very best. Katie supplied us with superior leadership. Her passion for the “track” and the Tasmanian Wilderness comes through loud and clear. I must admit I was probably an uncommitted city slicker until I met Katie and saw firsthand the pure emotion for the cause in saving the wilderness. Katie’s huge work ethic and skill in leading Hannah, Cameron and the rest of us was an absolute pleasure to see. Her sheer delight in testing us with brainteasers and games we have not played in many years will stay with me as a lasting memory of a fabulous journey. © Copyright Tasmanian Walking Company 2016.